In My Big Bariatric Box, you will find all sorts of goodies for those at every stage of the Weight Loss Surgery journey. 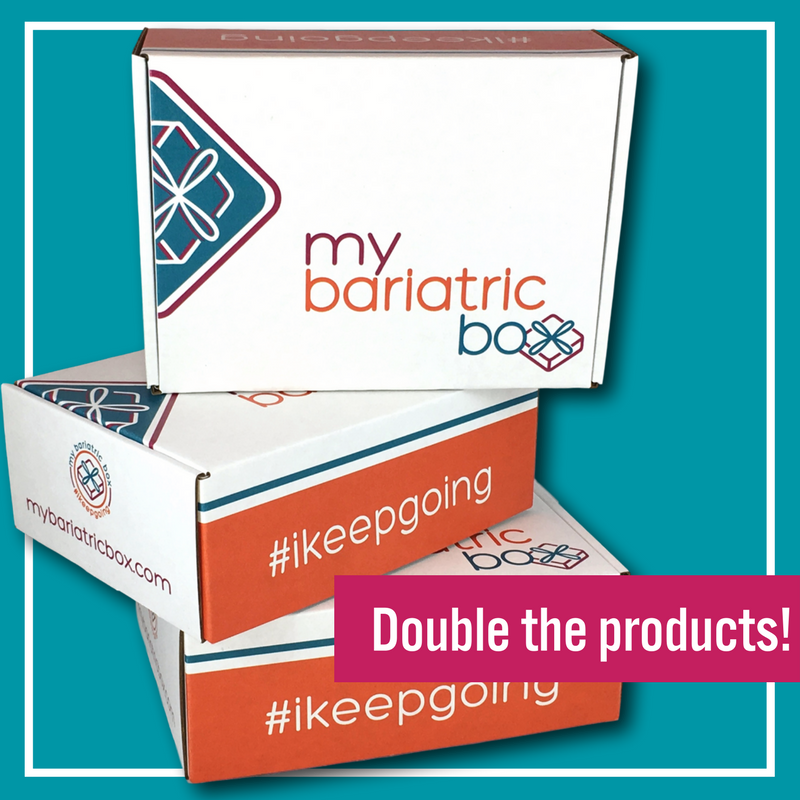 Double the products that you will find in the regular My Bariatric Box Subscription. It will contain at least six servings of protein drinks (shakes, fruity drinks, puddings) with a nutrition profile (low sugar, low carb, high protein) suitable for us. In addition, you will find other snacks or enhancers that will change things up a bit (flavored syrups, teas, etc). Occasionally we will throw something in there that just makes complying with a lifelong regimen of vitamin-taking, protein-drinking, and booty-shaking just a little more enjoyable! There will be at least 14 items per value-packed box. Shipping begins around the 20th of each month. Boxes ordered through the end of the month will get that month's box. 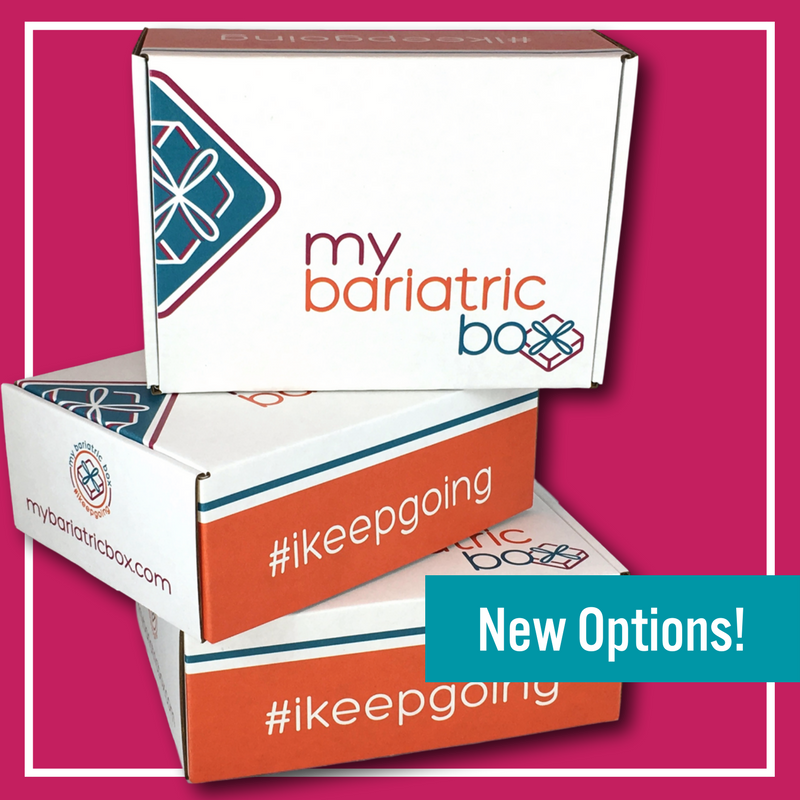 My Bariatric Box Subscription -- Now with Options! In My Bariatric Box, you will find all sorts of goodies for those in every stage of the Weight Loss Surgery journey. It will contain at least two servings of protein drinks (shakes, fruity drinks, puddings) with a nutrition profile (low sugar, low carb, high protein) suitable for us . In addition, you will find other snacks or enhancers that will change things up a bit (flavored syrups, teas, etc). Occasionally we will throw something in there that just makes complying with a lifelong regimen of vitamin-taking, protein-drinking, and booty-shaking just a little more enjoyable! There will be at least 7 items per value-packed box. Shipping begins around the 20th of each month. Boxes ordered through the end of the month will get that month's box.